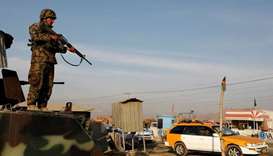 A Taliban attack in central Afghanistan on Monday killed scores of security personnel, officials said, with some estimates putting the death toll at more than 100, amid government silence about one of the most deadly insurgent attacks in months. 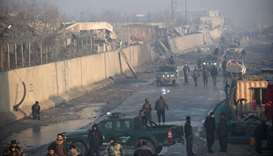 Attackers rammed a captured military Humvee packed with explosives into a training centre of the National Directorate for Security in Maidan Wardak province, west of the capital Kabul. At least two gunmen followed up, spraying the compound with gunfire before they were shot down. 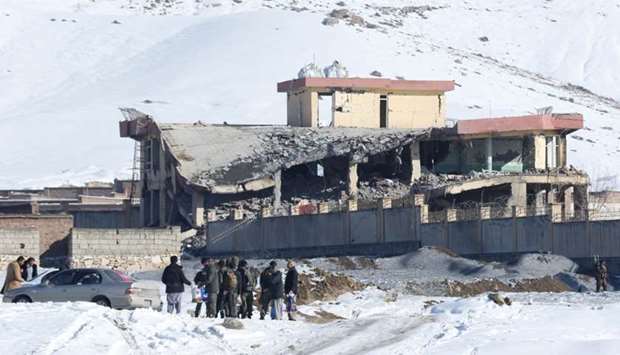 "We have information that 126 people have been killed in the explosion inside the military training centre, eight special commandoes are among the dead," said a senior official in the defence ministry in Kabul, speaking on condition of anonymity. Local officials also said that scores of troops and NDS personnel were killed in the attack but there was no official confirmation of the casualty toll, with officials ordered not to talk to media for fear of damaging morale. 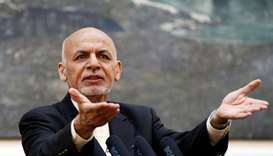 The complex attack on a highly secured base underlined the heavy pressure facing Afghan security forces as increasingly confident Taliban fighters have stepped up operations, even as diplomatic efforts to agree a peaceful settlement to the conflict have begun. 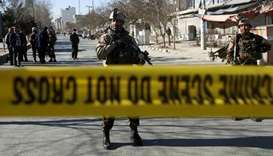 Taliban insurgents, fighting to drive out international forces from Afghanistan and reintroduce their version of strict Islamic law, claimed responsibility for the attack, which spokesman Zabiullah Mujahid said killed 190 people. 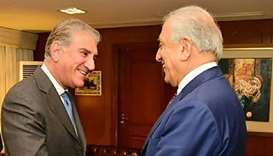 The attack, the most serious against Afghan forces in months, occurred on the same day that Taliban representatives met Zalmay Khalilzad, the US special envoy for peace in Afghanistan, in Qatar. 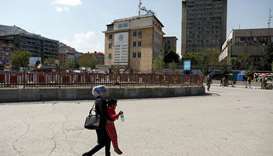 Last week, Taliban fighters set off a car bomb outside a highly fortified compound killing at least five people and wounding more than 110 in the capital, Kabul but casualties from Monday's attack appear to have been far higher. 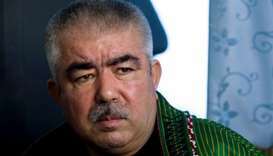 Sharif Hotak, a member of the provincial council in Maidan Wardak, said he saw the bodies of 35 members of the Afghan forces in the hospital. 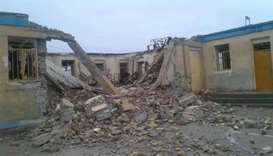 "Many more were killed. 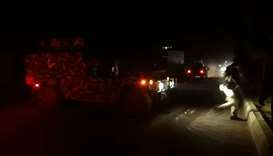 Several bodies were transported to Kabul city and many injured were transferred to hospitals in Kabul," said Hotak, adding that "the government was hiding the accurate casualty figures to prevent a further dip in morale of the Afghan forces." Monday's attack caused the biggest casualty total suffered by Afghan forces since August 2018, when the Taliban overran central Ghazni province. 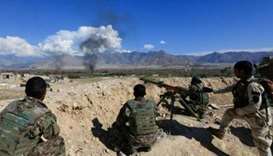 That confrontation killed 150 Afghan security forces and 95 civilians dead, as well as hundreds of Taliban fighters, said officials then. President Ashraf Ghani's office said in a statement the "enemies of the country" had carried out the attack and had killed and wounded "a number of our beloved and honest sons". In recent years the Afghan government has stopped releasing detailed casualty figures but US commanders have said repeatedly that the losses being suffered by Afghan forces are "unsustainable". 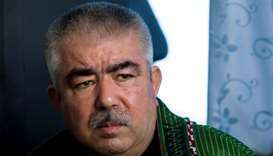 Last year Ghani said 28,000 Afghan police officers and soldiers had been killed since 2015. 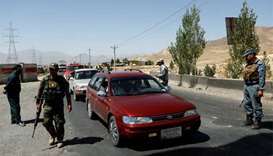 The British embassy in Afghanistan said Monday's casualties were "a stark reminder of the sacrifice the Afghan security and defence forces make for their country".